Being some one's Valentine is a huge responsibility. This was made ever more clear to me by the card I received this year. It reminded me of just how big of a job it is. 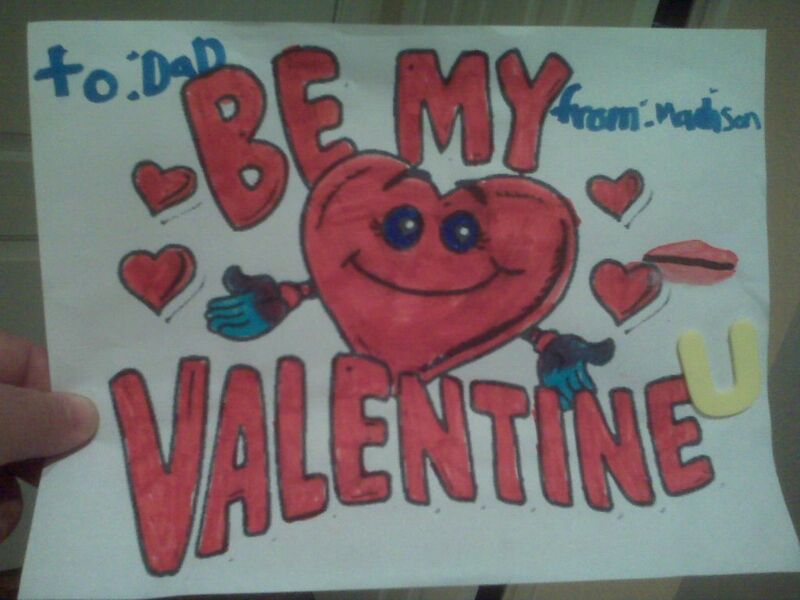 When my daughter Madison gave me this card. It is the picture of the day.